Head gasket failure can be catastrophic for an engines operation. Unfortunately, when head gaskets fail, it often points to the fact that the vehicle’s owner did not properly maintain engine oil or coolant levels at the manufacturers recommended intervals. In some cases, a failed head gasket can point to a leaking water pump, or coolant hose. 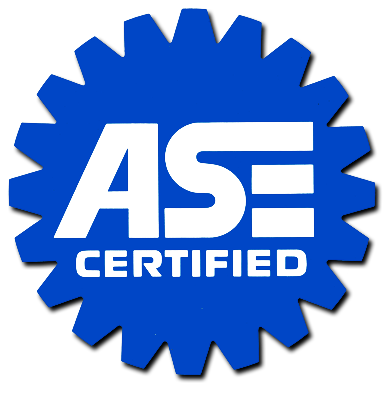 If you need head gasket replacement, the ASE-certified mechanics and Ron’s Auto and RV can help. The head gaskets job is an integral part of your vehicle’s continued operation. First and foremost the head gasket acts as a seal to the internal combustion process. Second, the head gasket acts as a barrier, keeping the engines coolant and engine oil from mixing. One of the quickest ways to pinpoint a head gasket failure is checking the engine oil to see if there is coolant mixed in it. Engine oil that shows coolant or is brown instead of black is a telltale sign that the head gasket has an internal failure. WHY DO HEAD GASKETS FAIL AND HOW TO PREVENT IT? Head gaskets can fail for a number of reasons; overheating, pre-ignition or detonation are the most common causes. Engine overheating is the most common reason for a head gasket to fail. When an engine is overheated, the engine block and head can expand beyond their limits causing extreme pinching to the head gasket, ultimately causing this gasket to fail. Engines that are not timed correctly can also put undue pressure on the head gasket causing failure. The dreaded knocking or pinging sound from an engine can point to timing issues. As mentioned above, the #1 reason for head gasket failure is engine overheating. Not properly and regularly servicing your vehicles cooling system (coolant flush), keeping coolant levels to acceptable levels, thermostat failure, or a leaking hose can cause thousands of dollars in damage fast. Replacing a failed head gasket is not a job for an average at home mechanic. It takes knowledge of the internal workings of an engine, as well as specialized tools. Typically this type of replacement is best left to an experienced auto repair mechanic. 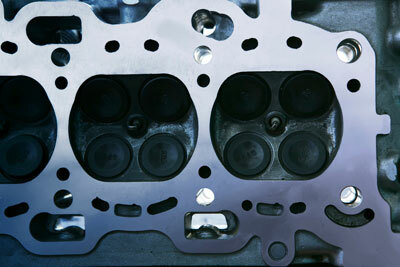 Often replacing a head gasket can be an expensive repair because other engine damage can occur when the gasket failed. Cracked or warped heads, burnt pistons or damaged valves are some common types of damage.